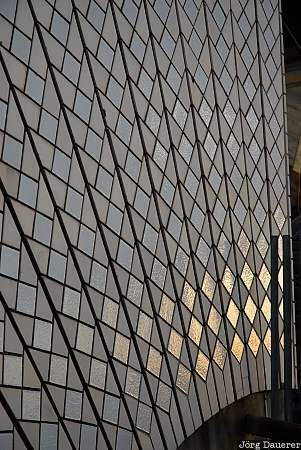 Details of Sydney Opera House back-lit by low morning light. Sydney is the capital of New South Wales in the east of Australia. This photo was taken in the morning of a sunny day in April of 2007. This photo was taken with a digital camera.